Keep you clients dry in any weather with this compact umbrella! This handy umbrella combines the automatic open technology with the convenience of compact style. The flat top design reduces rain buildup for added convenience. This easy to carry umbrella has a matching cover, automatic open. 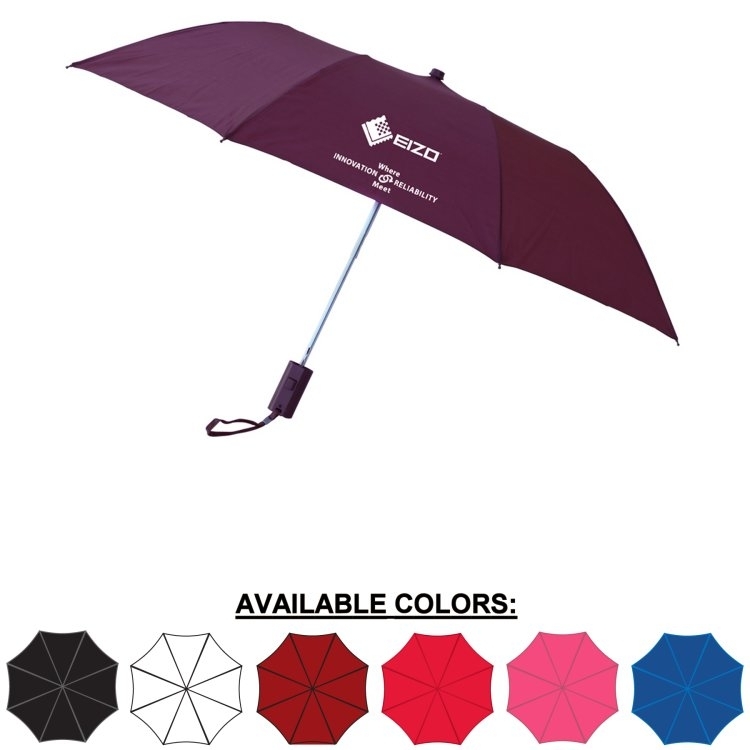 This umbrella measures 15 3/4" x 2" when closed and opens to 40" dia x 19 1/2" L. Personalize this umbrella for your next event!